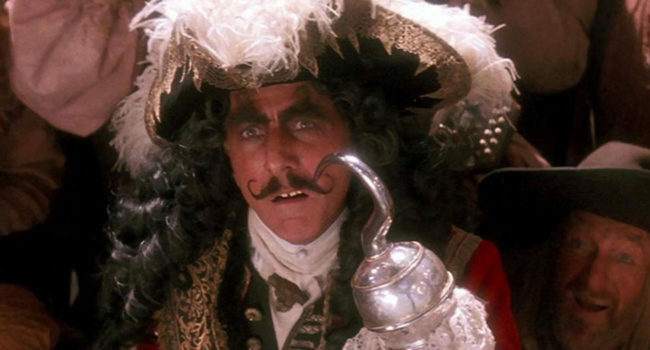 Captain Hook (Dustin Hoffman) is the main antagonist in the 1991 Steven Spielberg fantasy adventure film Hook. 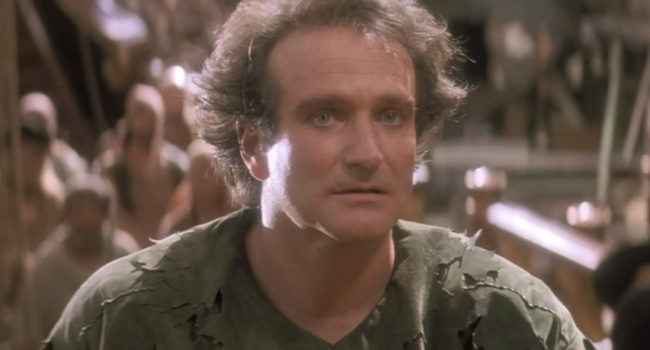 He kidnaps the children of Peter Banning, a grown-up Peter Pan, in order to lure him back to Neverland. If she’s not hanging out with Peter Pan and The Lost Boys, you’ll find Tink spreading magic throughout the world. With a pinch of her fairy dust and happy thoughts in your heart, you can learn to fly like her. If he’s not chasing the Lost Boys and Tinker Bell or plotting ways to capture Peter Pan, you can find Captain Hook hiding from his crocodile nemesis. Hook sure did wear some fancy pirate gear before being swallowed by that croc.